Is there any chance you could look up the following two individuals for me please. I bought his medals about two months ago and this is all i've been able to find out so far. I think he may be related to someone i am researching from WW2,but so far the above is all i have been able to get on him. Thank you for looking for me. As Emly is my surname it is the main name I am interested in. The information you have given is very interesting as this is a new name for me. Sorry me again but I forgot to ask where the information came from. I have checked and he is a relation, Horace Edward Emly. Is this one of your men? Only one in B'ham section. Cheers for the Eeles lookup in the Birmingham volume, not entirely sure if he is one of mine, his second initial has thrown me a bit but will check him out further. I am after an ASC man - Fred L Bartleet, M2/099522 - who may have come from Birmingham or Stoke Newington in London. Sorry all 3 not listed. Thanks for the look-up, it was a long shot. Does the roll only feature men who served in the British Army, or Royal Navy and RFC/RAF men as well? Any chance you could look for me in the London volumes for my grandfather William Mansell. Just noticed this thread and thought I'd help overburden you at the weekend. 241499 Pte Walter J Smith, Hamps Reg. ; enlisted S'ton and died May 1918. Do you have any of my chaps mentioned below. They were all from London except Sidney Ralph Tyrrell (Bristol/Taunton). Sorry Barnsley not covered in the National Roll. Yes, it covers all services including civilian war workers on occasion. 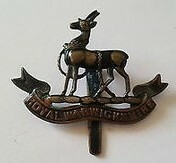 There is only a WG Smith of this regiment who survived the war . Goodo, can you have a peak for the following two brothers from Canning Town, London, please. William Underwood (unsure of exact service at the moment). Hello John, I was wondering if you could look up Pte 2778 Herbert Edward Airey of the 1/6th Royal Warwickshire Regt. He went to France on 22Mar 1915 was discharged on 31 May 1916; I have log books for his RAF flying training as a Sgt in April 1918, was wondering what he did for two years. He was from Birmingham. Any info would be a great help, thanks. I hope the Roll and Page make it easy. So how are the men who served in the Army before the war categorised, like where do they come from as a geographic listing? I wonder if you could possibly look up in the London sections, Joseph Coombes # S-10471, 1st Rifle Brigade. KIA 18/10/16.Lived in Kennington/Lambeth. I have all 14 volumes of the National Roll of the Great War. Unfortunately some are at my house in England so cannot be quickly accessed. The ones readily available are. They each list a cross section of men who served with brief service history and home address. Names not restricted to casualties. William Jordan Palmer, Gloucestershire Reg. Frank Palmer, 240931 Gloucestershire Reg. pte 6563 george edwin fleshbourne from grimsby served in the lincolnshire regiment. walter fleshbourne from louth served in the lincolns and the queens royal west surreys.